Simmba is an upcoming Indian action film, directed by Rohit Shetty and produced by Karan Johar's Dharma Productions. It stars Ranveer Singh, Sara Ali Khan and Sonu Sood in its lead roles while Ajay Devgn reprises his role of DCP Bajirao Singham from the previous films. The film is a Hindi-language adaptation of the 2015 Telugu-language film Temper and a spin-off of Singham. Simmba is an orphan from Shivgadh from where our beloved Singham was born and raised. Contrary to the philosophies of Singham, Simmba believes that a Corrupt Officer’s life is an ideal life which inspires him to become one. 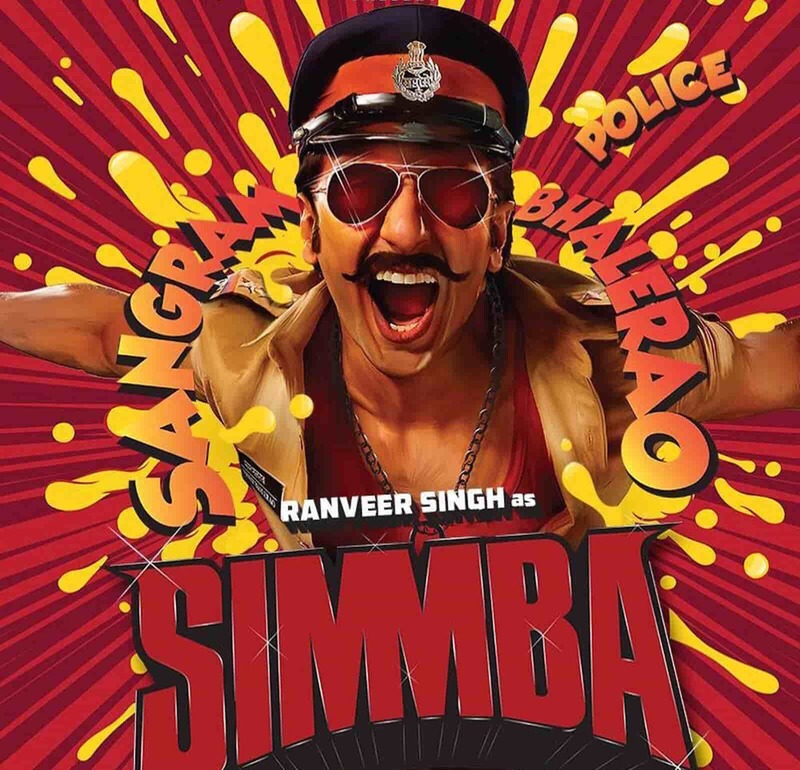 While Simmba enjoys all the perks of being an immoral and unethical Police Officer, a twist in the tale transforms him and forces him to choose the righteous path. The film will be distributed by Reliance Entertainment and will release on 28 December 2018.